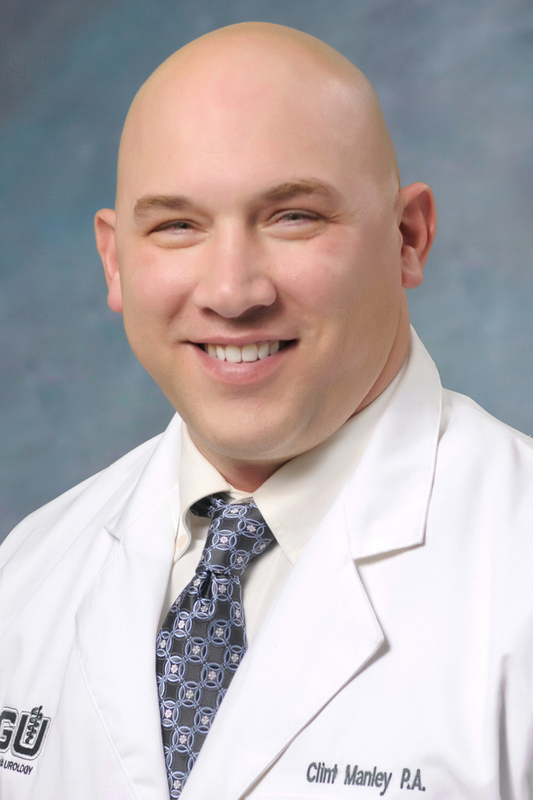 Clint Manley, PA-C is a nationally board-certified Physician Assistant. He holds undergraduate degrees from the University of Georgia and Georgia Southern University. Clint went on to earn his Masters of Medical Science from Mercer University. Prior to working as a PA-C, Clint held clinical positions in the Neurosurgical/Trauma ICU in Macon, Ga. and Atlanta. He is a member of the American Academy of Physician Assistants and the Georgia Association of Physician Assistants. Clint enjoys movies, reading, watching all levels of football and taking vacations with his wife and three children.